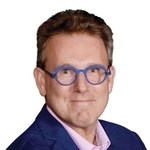 Steven De Coninck is a strong proponent for the clear evolution of orthopaedic medicine through standardized examination protocol. By creating the first standardized Cyriax Assessment Forms, Steven has provided effective examination and diagnostic tools that help highlight relevant clinical reasoning. 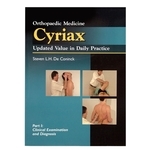 As a senior teacher of the European Teaching Group of Orthopaedic Medicine (ETGOM), Steven is spreading his message around the world by teaching OMCyriax classes and through www.cyriax.eu.